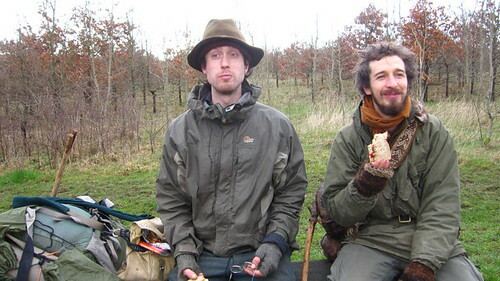 At the end of February 2011, we walked to London from home near Faversham. 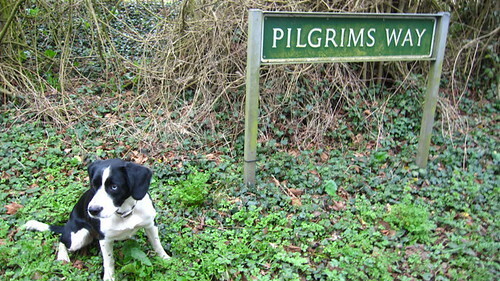 We’ve always avoided such a walk, and skirted London as widely as possible, due to the M25. The fastest road is no pal to the slowest walkers. And also, perhaps, we were fearful of London’s hard greyness. So this is the story of our London walk, which is the first decent jaunt we’ve made with Holly dog.